Microwave oat brownies - mouthwateringly delicious, plant based brownies made from oats, walnuts, sultanas, pure cacao, chia seeds and honey. A wonderful guilt free sweet treat, that could possibly make the most delightful breakfast - perfect for Fridays I say!! I've always been rather envious of those who can make a delicious, warm brownie in a mug - so easy, so simple, so yummy. Unfortunately the recipes I found always included dairy and refined white sugar, two things I steer clear of. I'm very proud to report that this recipe is both dairy free and refined white sugar free, phew! 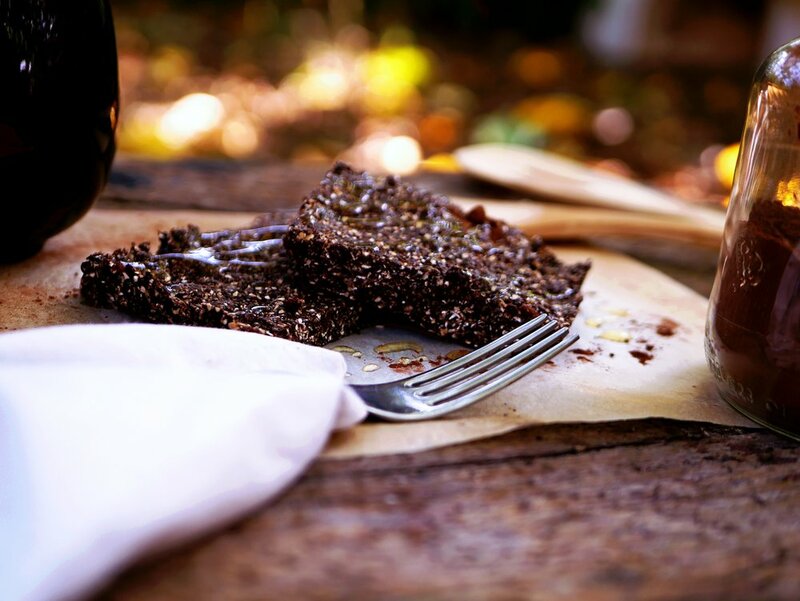 These brownies are actually rather good for you - substituting flour for oats, adding walnuts which are amazing for skin and hair, a good old dollop of honey - fabulous for the immune system darling, and the super powder pure cacao. All mixed up in the yummiest of warm brownies. 2 Cups of Oats - If you are gluten sensitive be sure to use gluten free oats. Place all of the ingredients into a food processor and mix thoroughly. Pop all of the mixture into a brownie tray and press down firmly, really squashing the mixture tightly. Pop in the fridge for a couple of hours. Cut into slices, and warm the slice up on a plate in the microwave for 30 seconds. A super simple, microwave brownie recipe which is dairy free and refined sugar free. Super simple, super easy and oh my goodness incredibly delicious.